This versatile Sticky Travel Mount allows you the opportunity to mount your Sticky and gun when it is no longer on your person. 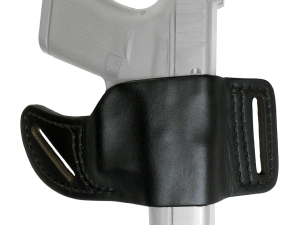 You can simply insert your gun with the sticky holster still on or your gun naked using the velcro strip to hold it in place! It is really that easy. 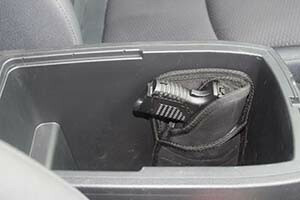 Let’s be honest, it is not always comfortable (or practical) to sit with your firearm in a vehicle or at your desk. 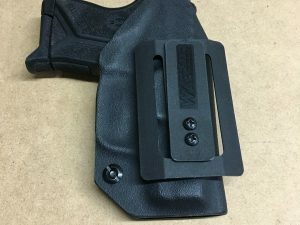 This mount takes away the pain of your firearm jabbing you in the stomach or kidneys and still allows for a quick, clean draw. 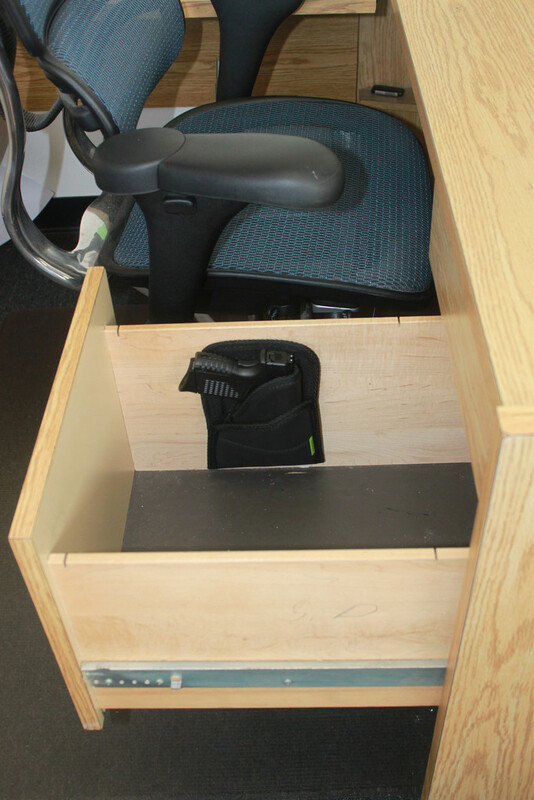 Some of the many places for use: vehicle center consoles, motorcycle saddlebags, boat compartments, night stands, desks, and anywhere else you will want to have your handgun handy! Note: Recommended for temperatures between -30°F to 140°F. Not recommended for fabrics, dashboards, flexible vinyl or underwater use. Adhesive can damage certain surfaces, we are not responsible or liable for these damages. SKU: HLSTR-MNT-001. 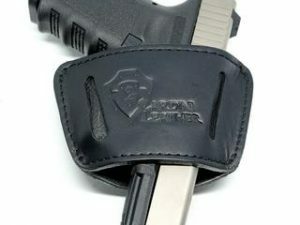 Tags: Black, Black Holster, Gun Mount, Holster, Sticky Holster, Travel Mount, Universal Mount. Mount your gun wherever you need! 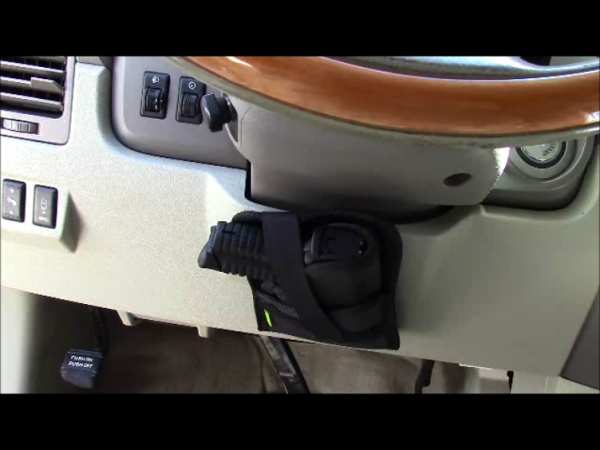 This mount holds your gun with or without a holster! 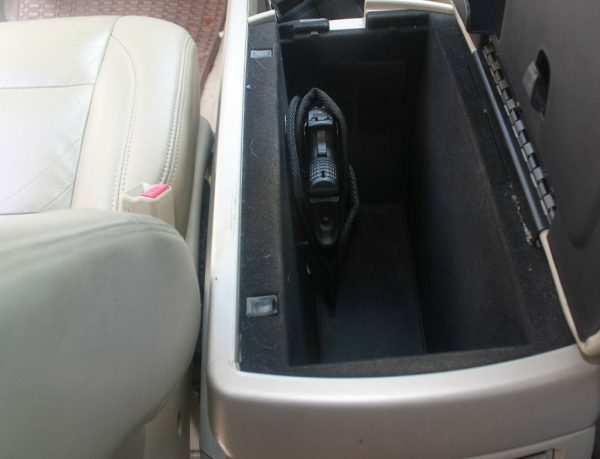 In your car, next to your bed or under your desk!